For more than 30 years this firm has assisted clients through one of the most stressful periods of their lives: relationship breakdown. Every person’s experience is unique. There are many factors to be considered before deciding what is the most suitable approach for each individual. Diane Myers Family Lawyers offers each client a straightforward assessment of their particular situation. Their focus is on resolving the matter in the most cost effective manner and within the shortest possible timeframe. Their clients are assured of prompt and courteous representation from a team of experienced, discreet and empathetic professionals. 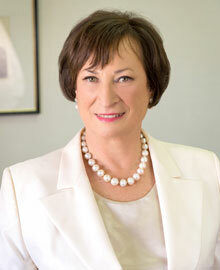 Diane Myers has practiced Family Law since 1981. As a senior practitioner she has a vast amount of experience in all aspects of relationship breakdown. Diane will help you choose the most suitable approach for managing your particular circumstances: whether you wish to mediate, negotiate or litigate. Diane is easy to talk to and she listens very carefully. With more than 30 years accumulated knowledge and wisdom she can promptly provide a well-considered assessment of your case. After hours Diane is a keen sailor and longstanding member of the Royal South Australian Yacht Squadron. She supports numerous charities and is a patron of the Arts. Sarah was admitted to practice in 2007 and following her admission worked in a variety of areas of law before specialising in Family Law in 2010. 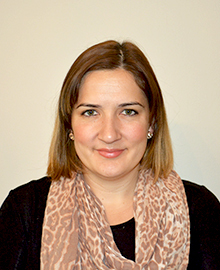 Sarah has worked on a diverse range of family law matters, and dealt with clients from all different backgrounds having previously worked in a Community Legal Centre as well as a large SA firm before joining Diane and her team. She has an exceptional understanding of people’s problems and needs and makes people feel at ease instantly with her caring nature. She is a skilled negotiator and always tries to settle matters if possible in order to help people avoid the time, stress and cost involved with going to Court. Sarah has previously volunteered at a Women’s Shelter and given free legal advice to victims of domestic violence. She has a close association with the Victim Support Service and on occasion undertakes pro bono work to assist with Intervention Orders.